What is Ninja Zone??? Play the video to the left for an explanation from Casey Wright, the founder of Ninja Zone. The Ninja Zone is an all new discipline inspired from Obstacle Course Training, Gymnastics, Street Dance, & Martial Arts. All Ninja Zone coaches are fully trained on technical skill, equipment, and pro-active safety according to guidelines set forth by USA Gymnastics. Register for the class of your choice and try it out. 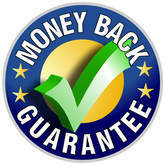 ​If you are not 100% satisfied with the experience, we will refund your tuition fee in full! (Applies to first class only). Baby Ninja is the newest class to hit NinjaZone! In an organized, yet playful structure, this parent and tot class is the perfect way to socialize your child, allow them to learn and understand what it means to follow instruction, and of course, get them moving! These classes follow our Ninja theme (of course! ), and the skills required to master the course include fundamental movement, coordination, fine and gross motor skill development, and our NinjaZone character-building component. Baby Ninja allows your child to play, have fun, bond with their Ninja grown-up, and learn body awareness. Baby Ninjas will be introduced to simple vocabulary, color words, numbers, and more! Baby Ninja is for stable walkers through age 3. Baby Ninja classes prepare your child for the next phase of Ninja Sport, so by the time they are old enough to enroll in Lil' Ninja classes, they'll be ahead of the game! Classes are limited to 6 ninjas. Ninja Training for boys & girls 3-5 yrs - Emphasis on taking direction, being part of a group, circuit format and safety. Goal is to develop body coordination, awareness, & listening skills required for Ninja Training Level White. Ninja Training for boys & girls 5-11 yrs - Training for fundamental body movement, basic skills, including Ninja rolling for safety, back flip progressions, basic vaulting, wall & bar progressions, basic kicking & punching technique, development of core strength & speed. These classes are NOT co-ed. ​Ninjas must participate in invitation only Missions in order to level up. Missions will be held throughout the year so look for information to come & watch the Calendar.